Many companies in India and abroad are building their digital marketing teams right now from scratch. They are facing a huge shortage of skilled professionals. Hence the demand for digital marketing courses and training programs is going up every year. After doing the course you can work for Digital Marketing in any company or you can start working as freelancer. This course is also useful to one to growth of his business. 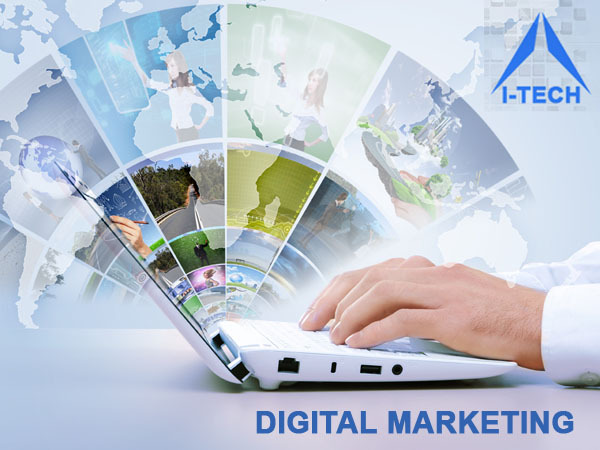 I-Tech System is best training institute for Digital Marketing Course in Nashik, Maharashtra. We offer classroom training program with week days and week end training option. We also offer online training option for students who can not attain classroom training program. Our course structure offers hands-on practical learning on all the channels of digital marketing like Website and blogging, Photo image editing, Business Listing on Search Engine, Search Engine Optimization, Social Media Marketing, Google Adwords – PPC, Display Marketing, E-mail Marketing, Affiliate Marketing, Mobile Marketing, Google Analytics and other tools. You get to learn all of it from industry experts. I-Tech System offer best course in Digital Marketing. After completion of the course our students are able to utilize their skill for Digital Marketing for different businesses, services, company or products. They are able to create websites, blogs and promote through Digital Marketing. Students can work on Search Engine Optimization (SEO) and Google Adwords. They can do Social Media Marketing, Email Marketing, Affiliate Marketing with marketing strategy and planning. We also offer placement assistance for Digital Marketing in different cities.